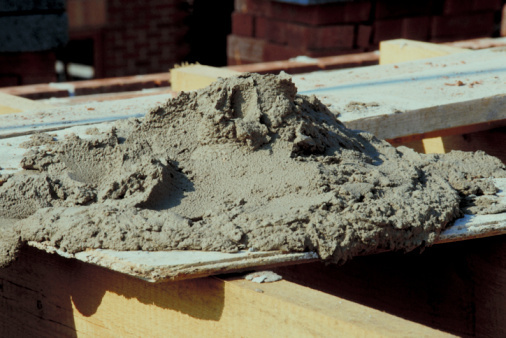 Concrete is defined as cement mixed with water and an aggregate. Sand and gravel are traditional concrete aggregates. 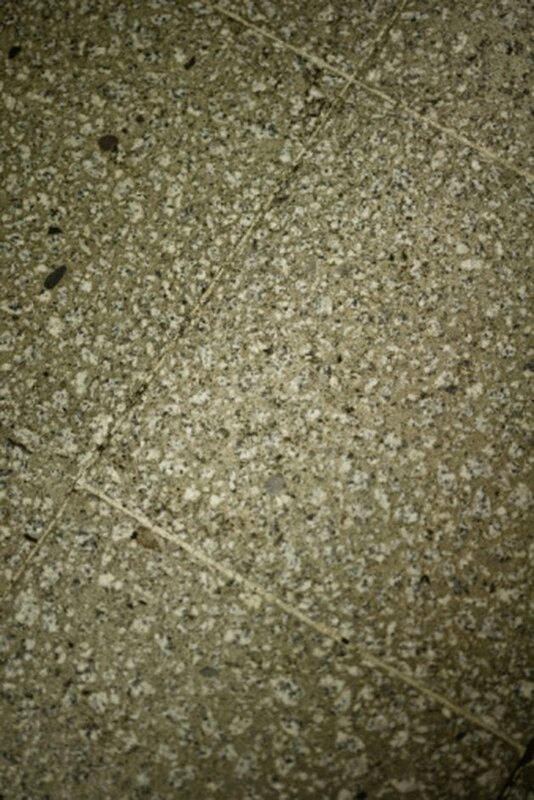 Ancient terrazzo concrete floors consisted of mortar and marble waste chips. Masons mixed the mortar and marble and spread the mixture over stone tiles and polished the sharp edges of the marble to create a decorative outer walkway or terrace. While the aggregate material of terrazzo flooring has become more varied over the centuries, the compositional formula for a terrazzo concrete floor remains virtually unchanged. Design a terrazzo concrete mix with more than one aggregate to create a mottled appearance. Choose an aggregate type and size. 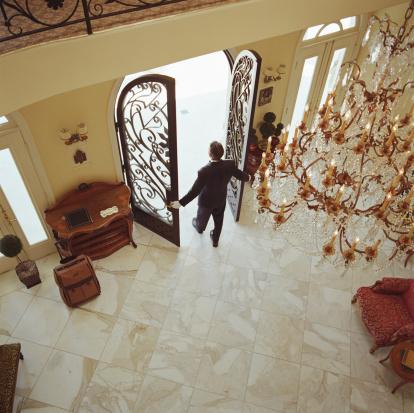 Terrazzo concrete floors consist of marble, glass, plastic, river rock or mother-of-pearl aggregates. Pebble-sized aggregate closely packs, giving the look of granite. Use large chunks of aggregate to show off the color or material of the aggregate and create an assertive flooring appearance. Select a mortar pigment. This step is optional. The Portland cement used to create the terrazzo concrete provides a natural white background for the aggregate. Dye the mortar to complement or offset the color scheme. Purchase Portland cement to use as the mortar. Use Quikrete only if you are working on a small project such as a porch or steps. If the terrazzo concrete is for a large room, use regular Portland cement to allow you time to work with the terrazzo mix. Combine the Portland cement and aggregate in a 1:2.5 or 1:3 ratio. Higher aggregate content provides a more decorative appearance but will be more difficult to spread. Add water according to the cement manufacturer's instructions. What Is the Ratio of Water to Mortar for Thinset Tile Installation?